Credit card debt in America currently stands at over $850 billion. Only mortgage ($7.86 trillion) and student loan ($999.3 billion) debt totals are larger according to the Federal Reserve. There’s some good news is though. 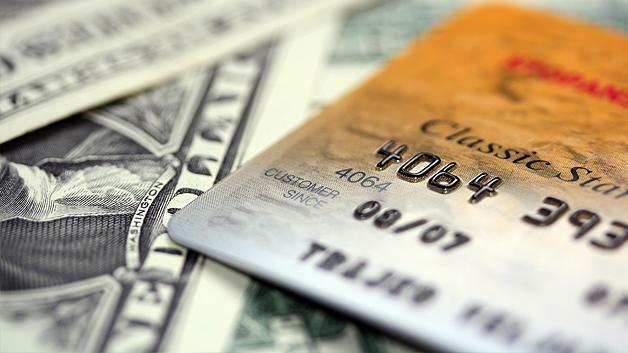 American credit card debt dropped $2.7 billion in June. That’s 16.5 percent below its July 2008 peak. Today, cardholders are making more of an effort to avoid high interest rates and pay down balances. But why are credit card interest rates so high compared to home mortgage rates? We’ll tell you…in this Just Explain It. Don’t expect credit card rates to mirror the interest you pay on a car loan or mortgage. Credit card rates will continue to be higher because it’s a risky product. Unlike car loans and mortgages, credit cards aren’t tied to actual collateral. So, if you default on your car or home loan, the bank will take them from you. On the other hand, if you fail to pay back your credit card loan, the bank gets stuck absorbing the loss. Besides the risk factor, other conditions can determine credit card rates. 1. Credit card rates are attached to the economy, which hasn’t been so great recently, and the prime rate – which is based on the Fed Funds Rate set by the Federal Reserve. Since the Fed funds rate is close to zero, the prime rate has been pretty low recently. A poor economy usually leads to higher lender prices. And that’s what we’re seeing now. Banks worry about borrowers losing their jobs and missing payments. 2. Your profile also has a lot to do with the rate you’re charged. Borrowers with a low debt-to-income ratio and whose credit score is above 720 have a better chance at locking in lower rates. Cards like the First Command Bank Platinum Visa and the First Federal Bank offer preferred borrowers interest rates of 6.25 and 7.15 percent. If you’re in the market for a new credit card -- depending on the card – the advertised interest rate could be as low as 11 percent or as high as 26 percent. The national average is currently 14.96 percent. For example, Wells Fargo’s (WFC) Cash Back card offers a zero percent introductory rate to new customers. After 12 months, the variable Annual Percentage Rate, or APR, kicks in and your rate could climb to anywhere between 12.15 and 25.99 percent. A credit card interest rate of 22.99 percent isn't unheard of these days. High-interest-rate cards are usually for customers who have poor credit. Some cards can carry rates as high as 36 percent, but most experts say customers should walk away from sky-high fees. Consumers with "bad" credit might be able to land a reasonable APR if they go with a product from a credit union. New members of an Atlanta-based credit union can apply for charge cards with a 9.9 percent interest rate attached to them as long as their FICO score is above 680. That rate climbs to 12 percent with a score of 600. But the best way to avoid credit card interest fees all together is to pay off the balance each month. If you spend what you can afford, it’s like an interest-free loan. What do you think? Are credit card interest rates too high? Or do you have a topic you’d like explained? Give us your feedback in the comments below or on Twitter using #JustExplainIt.